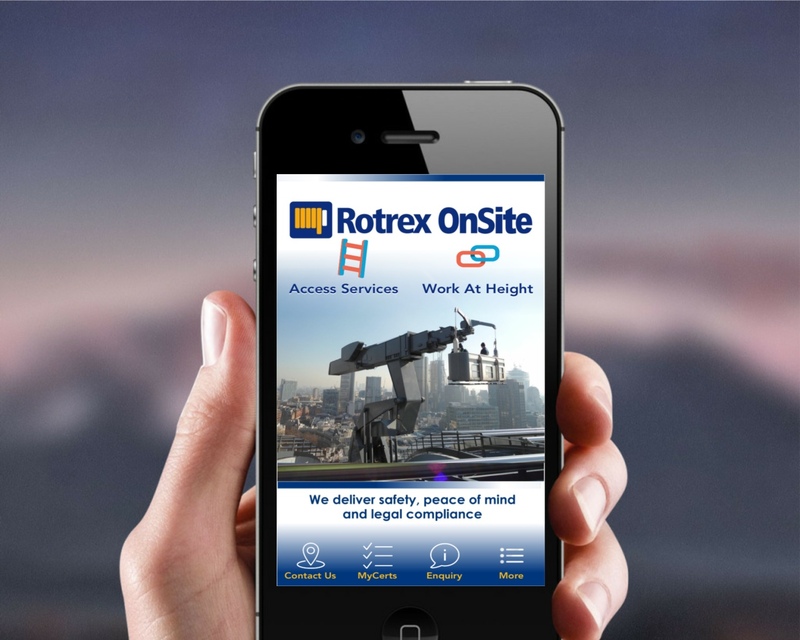 Rotrex OnSite are the UK’s leading provider of expert cradle maintenance services and fall protection equipment. They invited us to quote them to develop an iPhone and Android App for their company. They required the apps to include their company contact details and business information, including a photo & video gallery, a newsletter section and an area for their customers to securely login to access and print their cradle and fall protection equipment certificates. We was successful with our proposal, Rotrex OnSite were amazed that they could achieve everything they wanted on such a small budget. Both the apps were completed within a 4 week lead time and Rotrex OnSite were extremely happy with both their apps and subsequently asked us to quote them for further work. Included within their hosting package they have full access to our ‘Webtouch App CMS’ which gives them the ability to easily edit their apps and to include additional information for themselves. Also part of their hosting package is our very powerful geo-fencing push notifications. They can communicate directly and instantly with their customers by sending targeted pop up messages via push notifications to users mobile phone screens. Being able to target users via location with information on new, upgraded and available equipment has tremendously boosted their sales. On completion of their apps, they very kindly commissioned us to update their out dated website to a new responsive website.